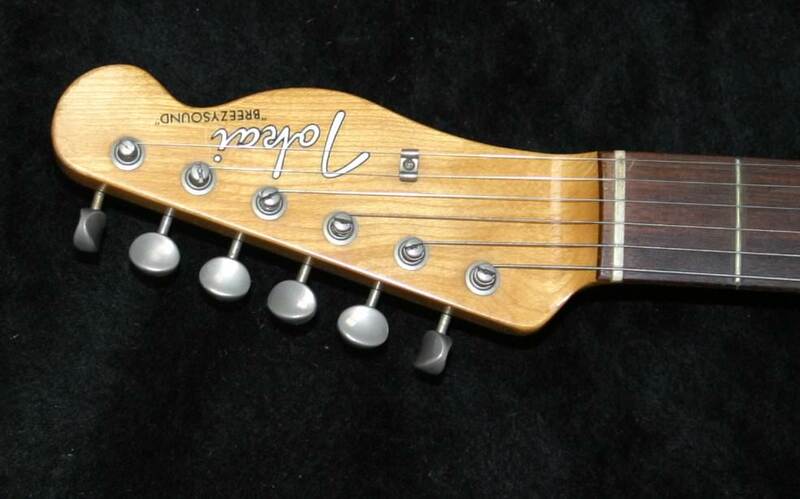 Bought in the early 2000s direct from Japan, this see-through blonde is the oldest Tokai I have left. 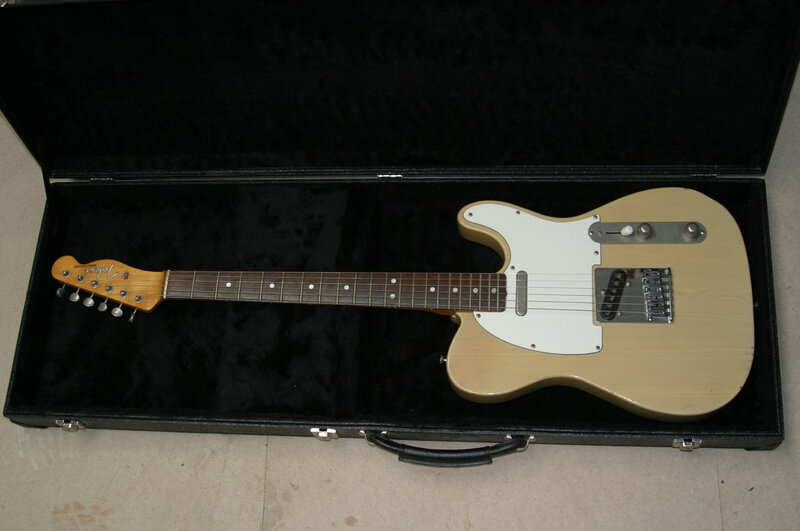 It's gorgeous, but the number of times I pick up a Tele is so infrequent, that it's a waste to have it sitting doing nothing. Spec - as far as I know - is: Sen (ash) body) nitro lacquer, brazilian rosewood fingerboard. Neck appears to be a C-profile - quite a handful. 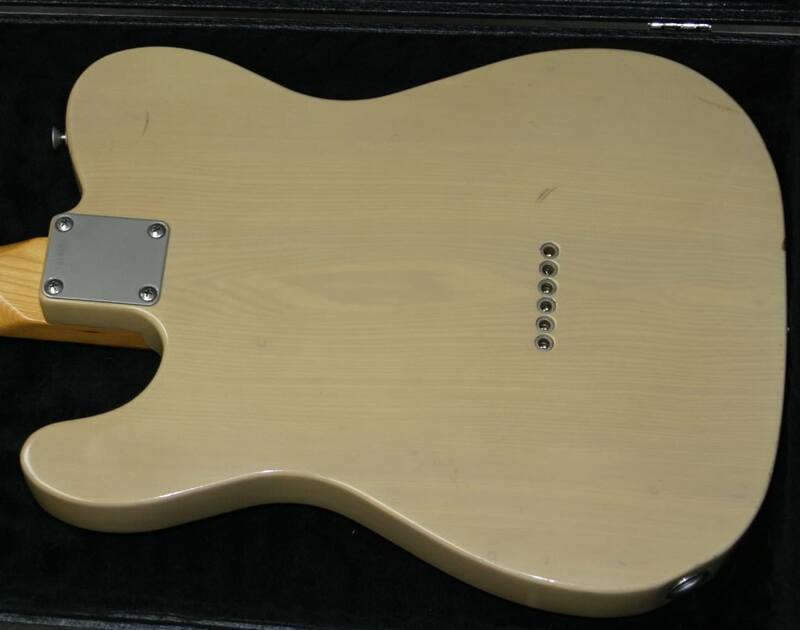 I think the bridge has been swapped out (there's a Tokai-stamped Tele bridge in the case. Pickup(s) might be potted - I will undo the scratchplate and strings to photograph the innards ASAP. '101nnnn' serial number dates to 1981. There are a small dings on the body edge, and a few small marks on the back of the body. It does need a setup. Strings are rattling a little. Price: £850 + shipping. Includes the rectangular hard case shown. i will have it off you .. Doubt the rosewood is from Brazil though. Good luck with your sale. It's a beauty. I'll try to clarify on the rosewood. I had thought at all of the upper models of the time were brazilian. villager - CITES may make shipping to you tricky. I've not shipped outside of the UK for years, and everywhere I look, it's a nightmare! CITES won't be a problem when shipping within EU. But it'll be a bummer to see this guitar back up for sale with an inflated price in a while. It is business if a guitar dealer is buying a guitar for a good price and offers it for another price because it is his job and he is paying his bills from the money he earns. It doesn't look good on anyone. someone always has to have a moan about us evil dealers.. lol..
but they make MONEY for WORKING surely thats wrong??? Indeed, I bought this one from a dealer (I think it was retrobazar) originally, and I'm pretty sure I paid more than the guy the dealer bought it from. It's how the world works. Hope it's with you soon.